The New Eighth Doctor Adventures in some ways very consciously emulate aspects of the new television series produced by BBC Wales, so it is appropriate that Death in Blackpool takes that one step further, by introducing to the Eighth Doctor a between-seasons Christmas Special. Worldwide Web saw the Doctor and Lucie opting to return to Lucie’s hometown of Blackpool for a Christmas dinner, and Death in Blackpool picks up right from that. 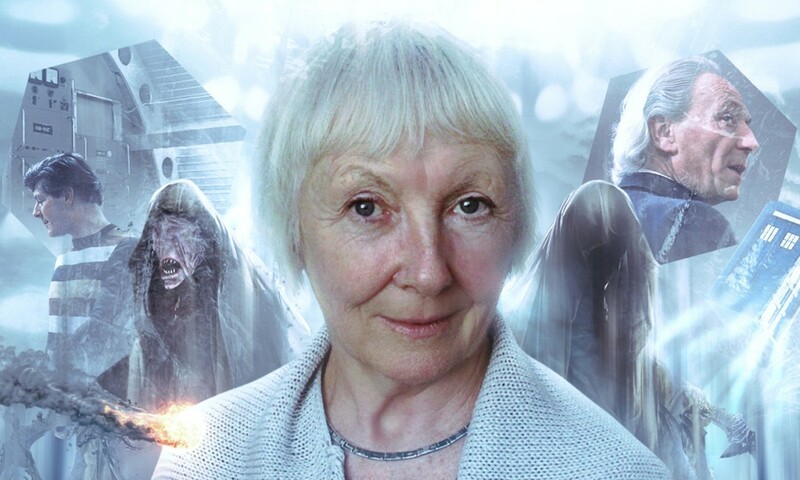 It also brings back the character of Aunty Pat, who appeared in two previous NEDAs (Horror of Glam Rock and The Zygon Who Fell to Earth), though Lynsey Hardwick has been replaced by Helen Lederer. In fact, Death in Blackpool is a surprisingly close sequel to The Zygon Who Fell to Earth, building on several story elements introduced there in interesting ways, all of them centred on what that story did to the character of Aunty Pat. Unfortunately, Lederer is not as accomplished a performer as Hardwick; while the original made Pat an enjoyable, sympathetic recurring character, the new actress seems a little stilted, especially in times of emotional stress. The story sees Lucie home for Christmas – but in 2008, six months before she left with the Doctor! (Mind you, Blood of the Daleks established she was from 2006.) This neatly avoids involving any of Lucie’s family beyond Pat, but also puts her in a bad emotional state just in time to be involved in a devastating accident. And while Lucie fights for her mind, the Doctor, Pat, and Father Christmas must fight to protect her body. As one might imagine, there’s a lot of material for Sheridan Smith to sink her teeth into as Lucie, and she does not fail to deliver, as always. The interplay between her and Paul McGann is at its usual top notch, and she brings her usual bravado and gusto to the role. Lucie’s last scene is particularly strong, showcasing some of the best acting by a companion in any Big Finish story ever. Paul McGann turns in his usual fine performance, though he’s strangely laid back and low-energy at a few spots where I felt the Doctor should have been more energetic, concerned, or interested. The guest cast is rounded out by David Schofield as Billy, who does a decent but unmemorable job as the story’s effectual villain; Harriet Kershaw as Natasha and Merika, who puts on a distracting accent for one of the roles for no apparent reason; and Jon Glover as Father Christmas, who is quite a bit of fun. (“It’s Chriiiiiist-mas!”) Though I wonder why his character was in the story at all, as he didn’t seem to affect the protagonists strongly, nor did they affect him, and he ends up forgotten by the story’s climax. But he was so fun it is hard to complain too much. 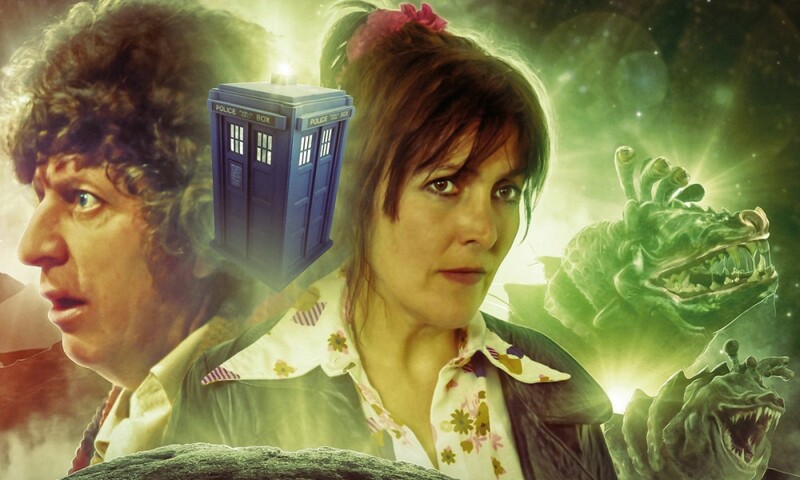 The story is surprisingly light on plot as it alternates between what Lucie and Billy are doing while the Doctor and Pat try to prevent catastrophe; summing it up, one finds that not a whole lot actually happens. There’s at least one spot where an idea is introduced and then pushed aside by the characters in the next scene, which makes one wonder why scriptwriter Alan Barnes didn’t just take it out altogether. 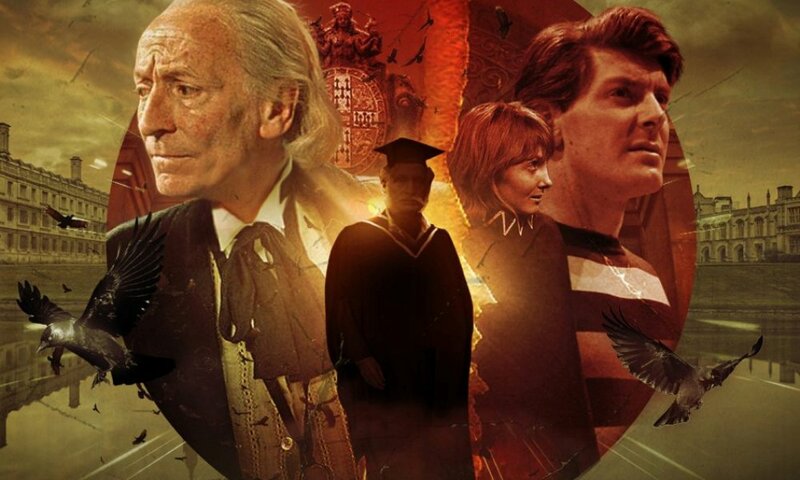 There are a few other weird plotting moments, and I have no idea what transpired at the story’s climax, which has some unexplained substitutions and very little actual involvement from the Doctor or Lucie, despite some setup earlier. The story is a curious mix of sombre and whimsy, which usually works for Christmas (it seems to have done well in Voyage of the Damned and The Chimes of Midnight), though the jokes aren’t so much laugh-out-loud funny as vaguely amusing/entertaining. The sound design and music here are fairly good but not extraordinary, typical Big Finish fare. There’s one point where we’re only supposed to hear one word in three uttered by another character, but the distortion effect is much less disruptive than that – the inverse of BF’s usual problem! There’s a lot of jingling bells in the soundtrack, which is predictable but certainly appropriate enough. The music under Lucie’s final scene was surprisingly effective, however. But despite some awkward points, this story gets kudos for following up on the events of The Zygon Who Fell to Earth in an entertaining and relevant way (though I groaned at “Zynog”) that has large repercussions for the Doctor and Lucie – especially Lucie. It certainly sets us up quite nicely for Season Four of the NEDAs, which, judging from this release, is off to a decent start. A good listen for the bleak midwinter. Death in Blackpool (by Alan Barnes; starring Paul McGann, Sheridan Smith) will be released by Big Finish Productions in December 2009.